Recently I’ve been on a mission – a fragrance mission. With my wedding coming up in only a few weeks, I have been trying really hard to find the perfect fragrance for it. I feel like having a special perfume for my wedding day is something really important because as someone who uses scent to reminisce, this will be my way of reminding myself of the wedding for years to come. A lot of people I’ve spoken to have said that whenever they wear their wedding fragrance, they’re reminded of all the good times on the day – and that’s what I want. 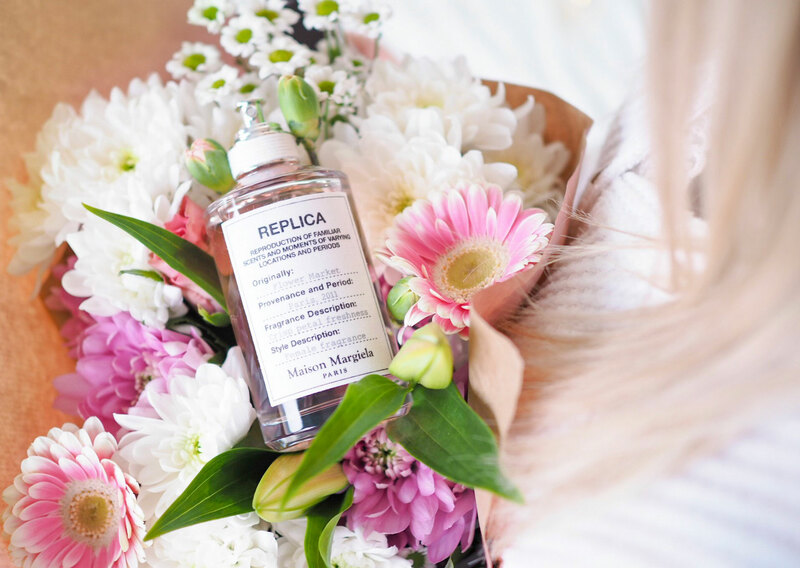 So, I’ve been searching for the perfect spring fragrance to wear at my wedding and beyond. I’m not a floral scent kinda gal, it’s quite far from my fragrance tastes actually. And while there are a few exceptions, generally a floral scent isn’t something I’ll go for. Spring therefore can be a difficult time for a fragrance lover like me – because everything that gets released is all about the floral tones! Finding a great spring scent is something I like to do every year as I’m always switching up my perfume collection. And although it takes a lot of searching through those flowery tones, I usually find some really amazing and stand-out scents hidden among the masses. My love for Maison Margiela fragrances started last year when I first tried some from World Duty Free. And since then I’ve been hooked. 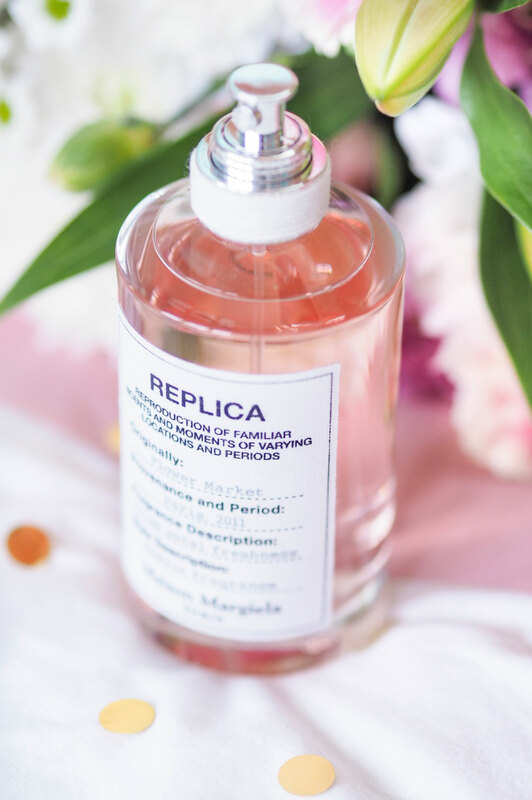 What I like about their collection is that it’s unlike any other range I’ve come across – every scent is designed to be a moment or place encapsulated. So each one is less of a perfume and more of a personal memory, and as someone who is really sentimental, I love this. I purchased a set at Christmas which had mini versions of all the fragrances and fell in love with some real stand-out scents. But Flower Market was by far one of the favourites and luckily World Duty Free also stock it. As someone without the floral-nose appreciation, absolutely adoring Flower Market has surprised me. A lot. Who’d have thought it?! 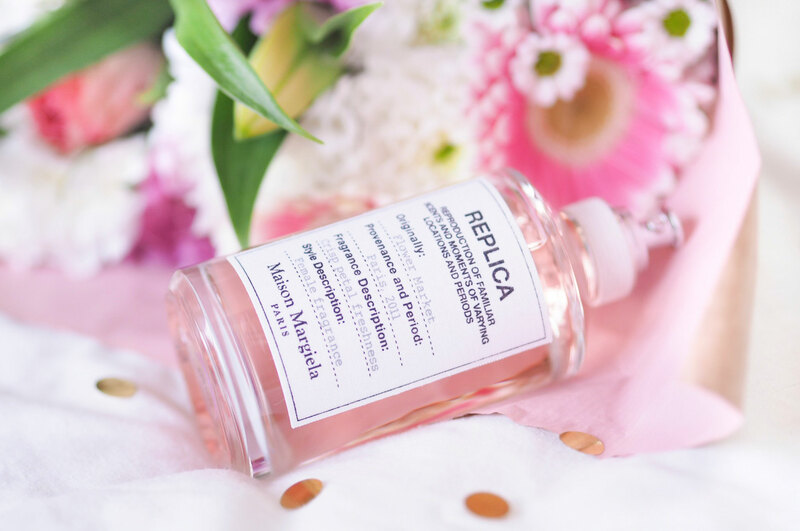 But somehow in the unique and gentle Maison Margiela way, they’ve created this beautiful embodiment of an actual flower market without too much sweetness – so it still retains some classic elegance and subtlety in the scent. With notes of Tuberose you get the floral side but it’s mixed with moss so it’s a bit more awakening rather than ‘flowery’. It smells fresh and you can pick up that moss immediately. It’s the introduction of the Jasmine and the Cedar that transforms this perfume though. These elements take it from something too sugary-sweet like a lot of floral fragrances, to something seductive and glamorous. It reminds me of walking through a floral market or florist shop. 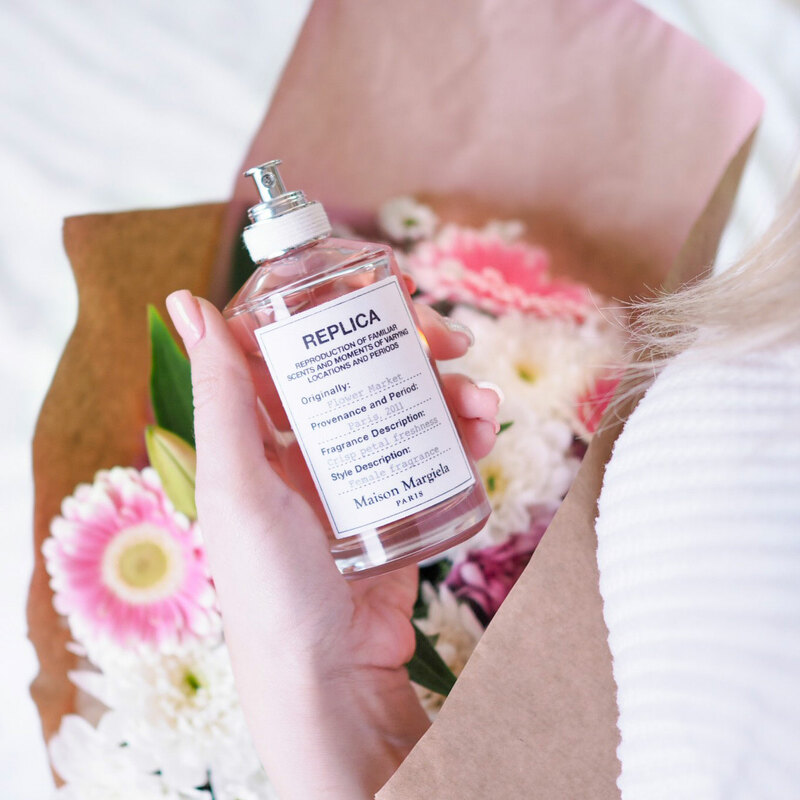 That real-life floral tone hits you with the first spray – and then it’s got a classic take on floral notes that aren’t sweet, but yet soft and gentle. So if you’re not a floral fragrance lover then this is how to wear a ‘flowery’ scent. When worn it’s gentle enough to empower the senses without being too strong. I love that about all the Maison Margiela perfumes – they’re elusive and I think it makes them unique. Because they’re more of a memory fragrance, it’s gentle and not overwhelming. It’s just idyllic to wear. such a beautiful packaging! i love floral scents especially for spring! Oooh this sounds absolutely incredible! This scent sounds lovely! The packaging is beautiful too. I think this would be the perfect perfume for your wedding, if you decide to choose it. I need to find these cause I’m in love with that bottle! I’ve heard SO many good things about this brand, I love the simple packaging. I really need to try!